Now Google wants to transform the video games industry and on this week's Tech Tent we explore whether its new service Stadia really does mean the death of the console. But before we consign all those Xboxs, PlayStations and Nintendo Switches to the dustbin of history, there are a few questions to be answered. Will most gamers' broadband connections be fast enough to make a streaming service an attractive proposition? Will developers all come on board? And is Google the right company to trust with the future of the games industry? While the menu of games outlined at the launch looked thin, he promised that big titles from major publishers would be coming to the platform in the coming months. But Google can't expect the established players to sit back and watch as it steals their lunch. Microsoft is preparing its own streaming service, and neither the Xbox nor Sony's PlayStation are going to fade away any time soon. Keza MacDonald also questions how comfortable gamers will be with a firm whose business has been built on collecting personal data to sell advertising: "The idea of a Netflix-style subscription service that's also essentially mining my data and selling it, is not awesome." 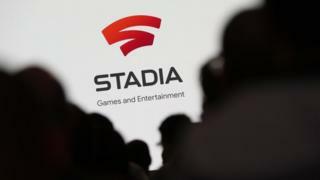 Then there is the question of Stadia's link with YouTube, where Google has struggled to combat abuse and hateful behaviour. The platform will be both a powerful marketing channel for the streaming service and a source of reputational risk if young players face bullying. Despite all these problems, Keza MacDonald believes a streaming service is an idea whose time has come: "If anyone can make it happen, surely it's Google." Voice-activated speakers such as Amazon's Echo and the Google Home are increasingly popular, and now advertisers want to use them to get messages from brands to consumers. We explore whether people will feel comfortable with hearing adverts coming out of devices that seem to know lots about them. And how many old phones have you got gathering dust at home? We try out a hi-tech kiosk that examines your phone and offers you a price to recycle it.